On Thursday, August 9th, I attended an evening with Max Irons for the unveiling of I·N·C International Concepts Fall/Winter 2012 men's campaign imagery and presentation at Thom Bar, 60 Thompson Street. 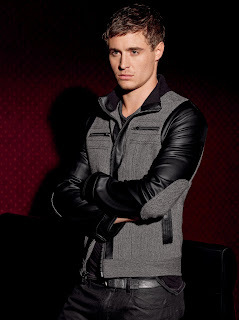 I·N·C features Max Irons for a second consecutive season. The Fall/Winter 2012 collection features tailored and casual sportswear pieces with athletic detailing. The I·N·C brand shop featuring Max Irons and highlighting the new collection is slated to launch at macys.com/incmen in late August. I·N·C International Concepts is available only at Macy's and macys.com.